This apartment is located on the ground floor in picturesque Rovinj, on the west coast of Istria. A beach, which is also very suitable for children, lies within 10 minutes walking distance. The stunning historical city center lies within 1,5 km distance, so it's also easy to reach on foot. Rovinj is a city rich in natural and cultural heritage. The old center is loved among tourists worldwide. Shops and restaurants lie around the corner. 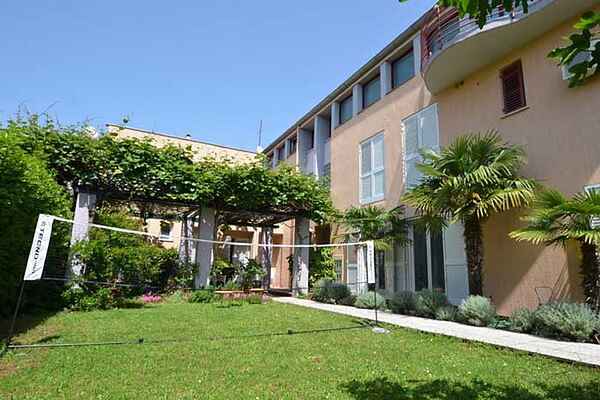 In the shared garden, you can play badminton and volleyball, among other things. The apartment consists of a terrace, a living room with sofa bed and kitchenette, a bedroom and a bathroom.